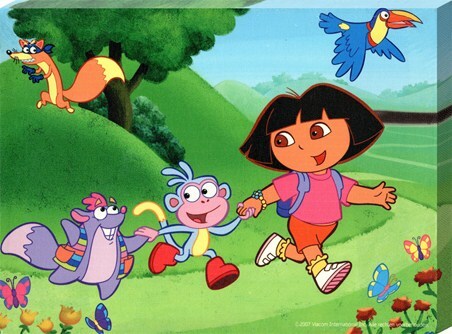 Children’s Canvas Print: Join Dora and her friends on another exciting adventure with this colourful cartoon canvas print. 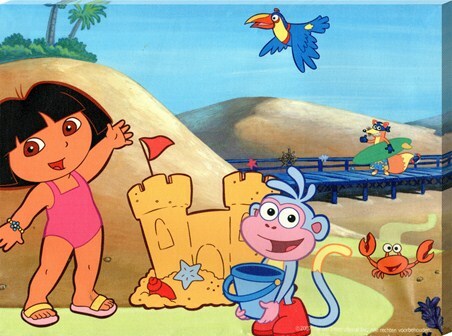 It features Dora and her best friend Boots the monkey from the animated children’s cartoon ‘Dora the Explorer’ as they have fun down at the beach making sand castles in the sunshine. 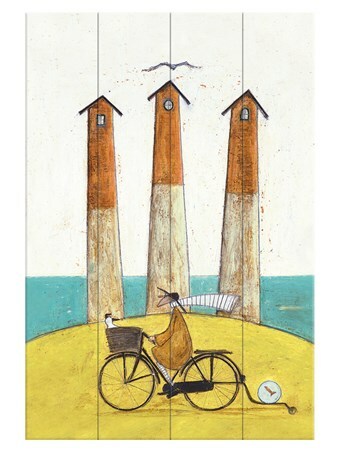 In the background, Swiper the sneaky fox walks along the jetty with his surfboard under his arm. 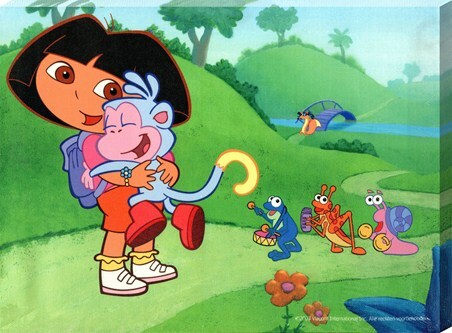 If you are a fan of Dora and her friends then this adorable canvas print is sure to add some sunshine to your bedroom. 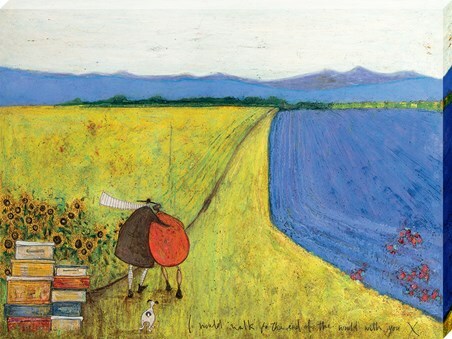 High quality, framed Fun in the Sun with Dora & Boots, Dora the Explorer canvas print with a bespoke frame by our custom framing service.